What have you been up to at your house? One of the things going on at our house right now is that we have been anxiously watching five chrysalides waiting for them to emerge as Painted Lady Butterflies. This all started because our granddaughter found a wooly worm and wanted to keep it, so we got out our “bug cage” and put the wooly worm inside. So I became the caretaker of a wooly worm. I tried to care for it, pick fresh clover every day, but I admit I had company at the time and the little worm was sometimes forgotten. In fact, I thought it had died, poor little thing curled up in a fetal position, no movement. So I took it outside and gently (just in case) dumped the contents out. As soon as that little wooly worm touched freedom it began to crawl away. It was stretching itself out and seemed exuberant. That did it for me, I would let my granddaughter down because I wasn’t forcing that little guy into captivity again. Of course, Maggie was disappointed when I told her, so that brought up the possibility of raising butterflies because I knew they had kits you could order. That made her happy and the kit was ordered. Now today, as I write this three of our butterflies have emerged and we’re waiting for the other two. What I didn’t think about when I ordered this kit was the time of year it is. When the kit arrived we were still having fairly warm days, but the weather has changed quickly and it is no longer warm enough to set these little butterflies free. I know, how could I not have thought of that! I guess these little guys will just live in their cage for their short-lived life. I have read about their life cycle and they only live 2-3 weeks. I feel so bad! I am trying to take good care of them. I’m placing fresh flowers in their cage with nectar sprinkled on them, soaking a sponge provided with the kit in nectar and giving them fresh fruit. All the things we were told to do, but they will never taste freedom and I will never order a kit to hatch butterflies at the wrong time of year again! That was a whole lot to say before saying “now let’s get this party started”! 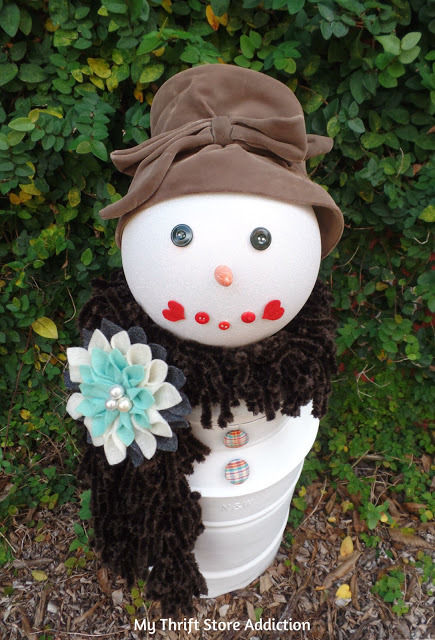 My first feature from last weeks party is Cecilia from My Thrift Store Addiction and her Repurposed Vintage Milk Can Snowman. I could use him on my front porch! If you’re still trying to come up with an idea for an appetizer for your Thanksgiving guests, my second feature might be just what you’re looking for! 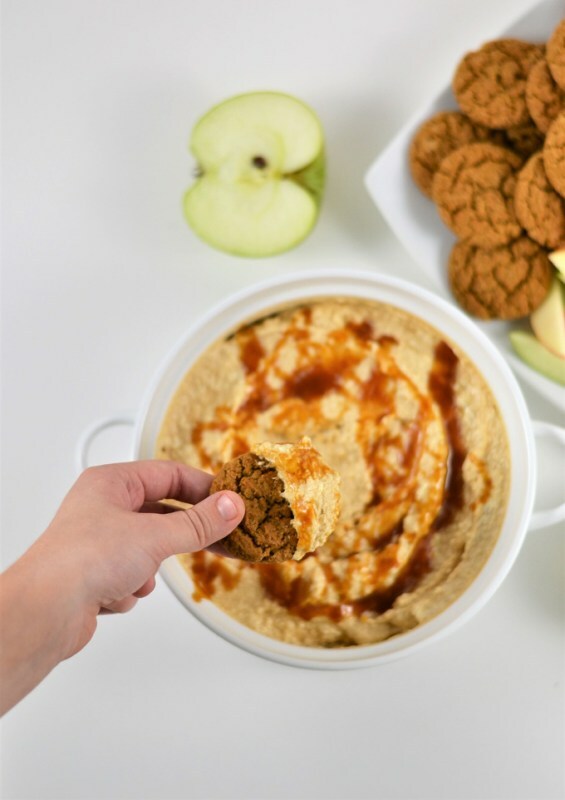 It’s Caramel Cream Cheese Dip from All Crafty Things. Thank you both so much for linking up with us. Please copy and paste this button into your sidebar! 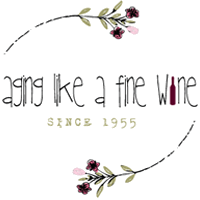 Please join us, link up a post and stick around and read the other wonderful blogs that have linked up! Thanks Teresa for your 184th Party in Your PJ’s. Have a great week. Thank you so much Joy. You have a wonderful week as well and a blessed Thanksgiving! 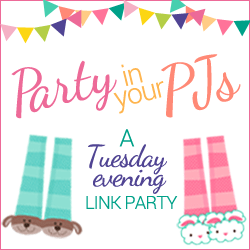 Thank you for linking up each week Debbie. I really appreciate you!